IF YOU ALREADY OWN A MARANTZ PMD620 YOU MAY STILL PURCHASE SOME OF ITS ACCESSORIES FROM OUR PMD620 WEBSHOP BELOW. 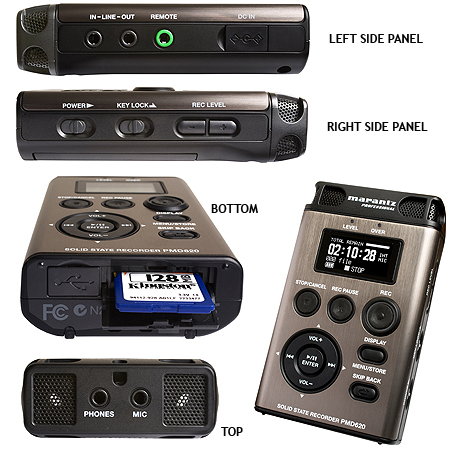 The Marantz PMD620 is a high performance handheld digital recorder that records to SD flashcard media in either PCM (.WAV) or MP3 audio formats. Its lightweight compact form (just 62x102x25mm), ergonomic design and ease of operation commends the PMD620 to a wide range of users, including journalists, reporters, programme makers, podcasters, musicians and sound recordists everywhere. Features include an inbuilt stereo condenser microphone array for ‘point and shoot recording’, and an intuitive control surface for 'one-hand' operation, with thumb operated transport wheel and tactile, red illuminating, record button. A high contrast, low power draw organic LED (OLED) screen provides vivid display of menus which guide the user through the optimum set up and operation for their application. 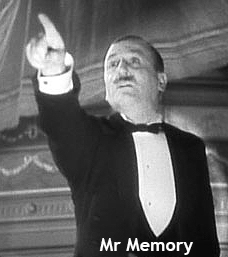 Recording settings are selectable between those for high quality music recording to extended voice recording. 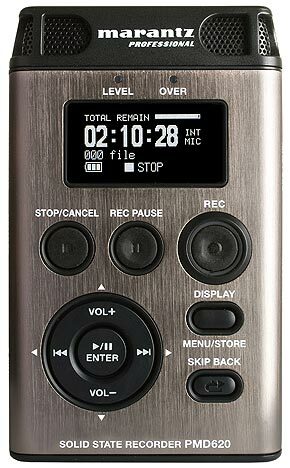 Recording time with a 4 GB card extends from 3 hrs 44 mins for stereo PCM (.WAV) at 24-bit / 48 kHz, to 283 hrs 44 mins – almost 12 days – for mono MP3 at 32 kbps. Journalists and podcasters will appreciate the PMD620’s basic but useful onboard editing, with non-destructive cut-and-paste ‘Copy Segment’ editing to create new sound files. Transcription is simple with the Skip Back function, and file transfers to any computer are drag-and-drop via the USB 2.0 connectivity.